Robot Combat League: SyFy reality show features half-ton robots boxing. 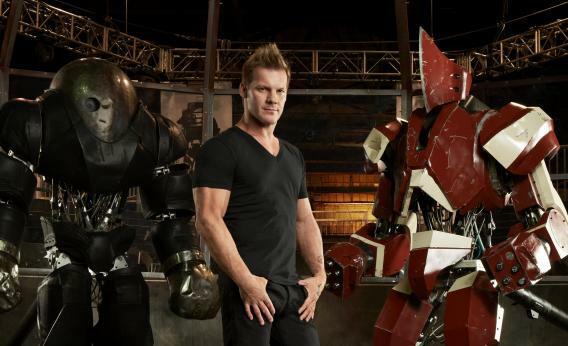 Host Chris Jericho appears confident that the eight-foot-tall contestants on Robot Combat League aren’t going to suddenly rise up against him. Remember BattleBots? That show where the one metal robot that looked like a trash compactor on wheels would repeatedly bump into the other metal robot that looked like a sharp-edged saucer on wheels? Forget that. Entertainment Weekly reports that SyFy is preparing a new robot fighting show featuring eight-foot-tall humanoid robots that actually stand on two legs (sort of) and box. It’s called Robot Combat League, and it promises to be interesting, for at least the first episode. Beyond that, we’ll see. There’s no doubt robotics technology has come a long way in the 10 years since Comedy Central aired the last new episode of BattleBots (or its BBC forebear, Robot Wars). We now have robots that fight fires, robots that kill people, robots that you control with your mind, and robots that dance to “Gangnam Style.” All of which represent a big step up in class from BattleBots’ “evil Roombas,” as EW’s James Hibberd memorably describes them. The show is scheduled to debut on Feb. 26. Former pro wrestler Chris Jericho will host.